Microsoft Internet Explorer have been the dominant web browser for past few years. 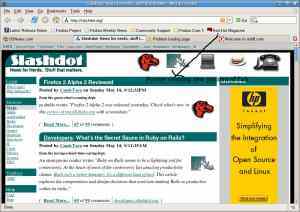 Initially it had competition from Netscape Navigator but the scene quickly changed with Microsoft's marketing and bundling of IE with Windows operating system and soon it became dominant web browser on desktop with Netscape Navigator having negligible share . But with dominance the past few years have seen little new innovative features in the IE with Microsoft trying to fix leaky IE instead. 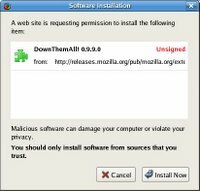 Bugs and security fixes have become way too common and spywares and adwares have been trying all hard to make IE a miserable experience,making people scream for alternatives. Mozilla Firefox Provides them with a perfect alternative to their IE woes and Providing features that makes browsing a truly pleasureful experience. Further it works seamlessly on Linux,Macs and number of other operating system. 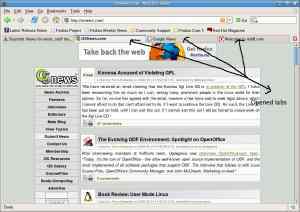 Mozilla Firefox began with an effort to create a strip down version of the bloaty Mozilla Web Browser ( Mozilla was Open Source version of Netscape navigator Web Browser) by Dave Hyatt and Blake Ross. 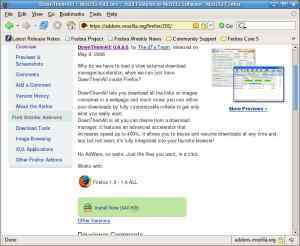 Firefox started to become immensely popular with it registering 100 million download within year of launch of it's version 1.0 . The popularity continued to increase with 1.5 Version Registering 2 Million Download within first 36 Hours of release. 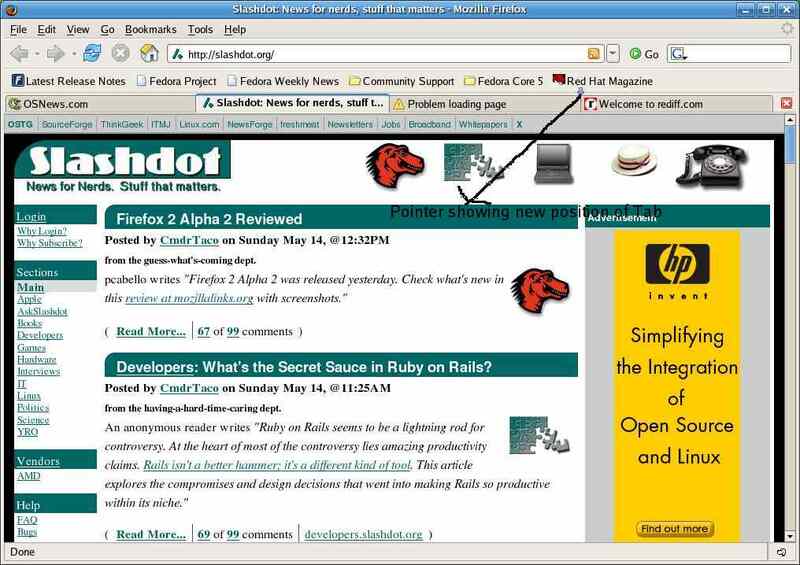 Firefox in short has been a phenomenon both on Windows and Linux . 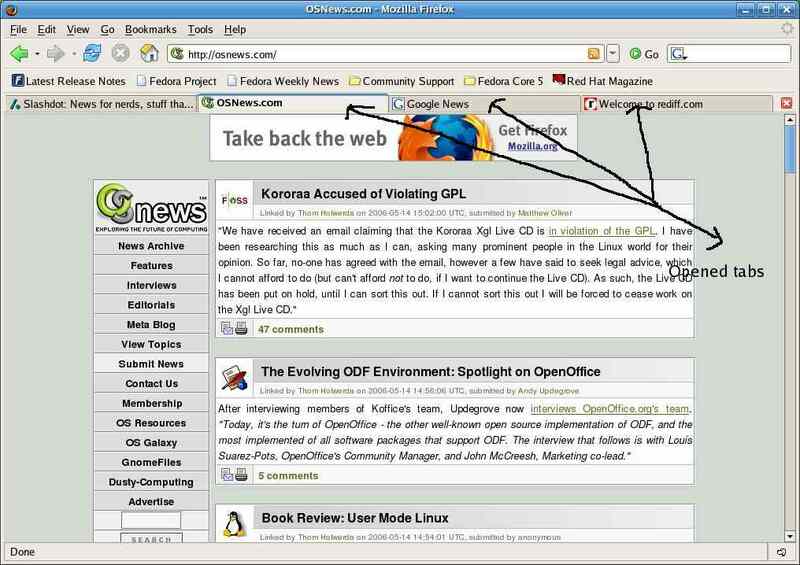 It has been one of the biggest success story of the open source movement. Now it occupies close to 10 % of Web Browser market quiet a achievement considering it turned mature just few years back. 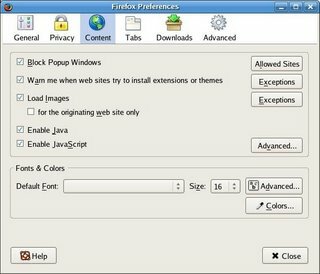 Let's examine some of the features that make firefox so immensely popular In Internet explorer every now and then we have been frustrated with the popup advertising windows but firefox comes with a unique tool that enables one to block popup ads when it is enabled. 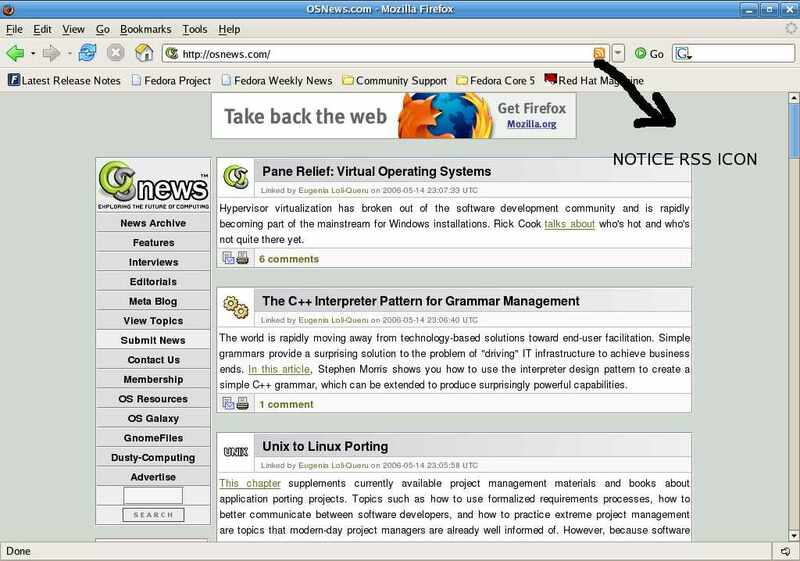 Also one of the most popular feature of the firefox has been tabbed browsing allowing one to quickly open different webpages in the same window allowing to quickly move back and forth on the open webpages.Also an extension of tabbed browsing is ability to set multiple webpages as home page each opening in it's different tab so that when you click home button all the webpages open . 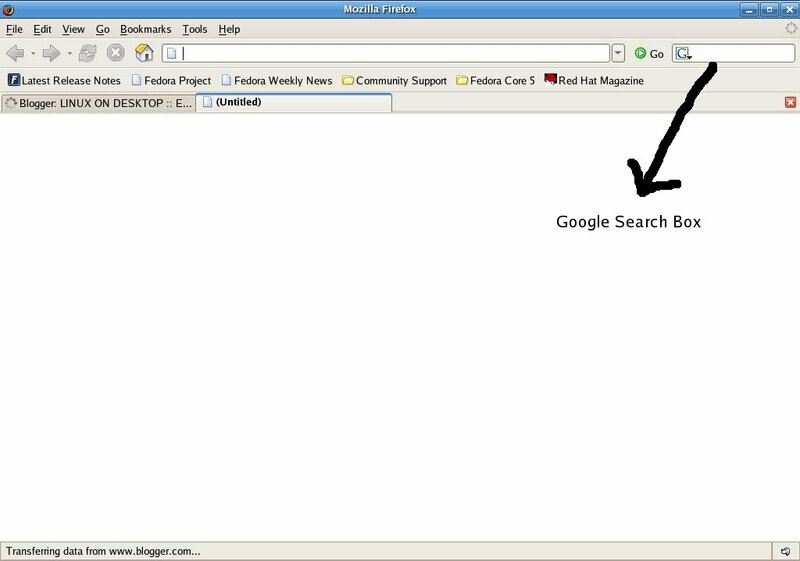 Also one nice feature is Built in Search bar that allows one to quickly search different web search engines with ease.One feature that may impress people who search a lot is ability to drag selected text ,word in webpage directly toBuilt in Search Bar's searchbox to search for it instantly,without firing your searchengine and typing he text thus saving time. 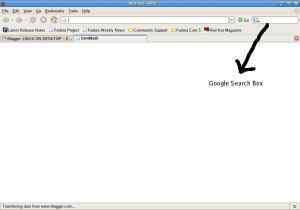 There is provision for easy and quick removal of all your history and your secret information with one click . Also not a mojor difference but searching text in webpage is much easier with search tool bar at bottom of screen rather than a dialog box in IE. Firefox can be easily upgraded via it's update system and with version 1.5 you dont need to download entire firefox for updated version but instead it could be patched to include latest changes ,a nother nice feature considering how new flaws are being discovered in software .Also mozilla organization is much faster to correct flaws found in the browser as compared to internet explorer. Also they offer 500 $ and Mozilla T-Shirt to anyone who discover bugs in the mozilla source code under it's Bugs Bounty Program. But one of the most powerfull and popular feature of firefox is it's ability to extend firefox functionality via the use of extension which can be installed with quiet ease and there are extensions available for a variety of purposes. 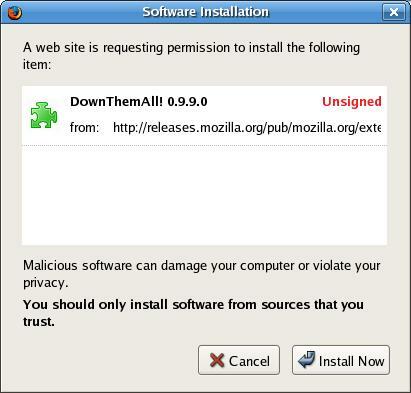 Installing firefox extensions is as easy as clicking their link using firefox. 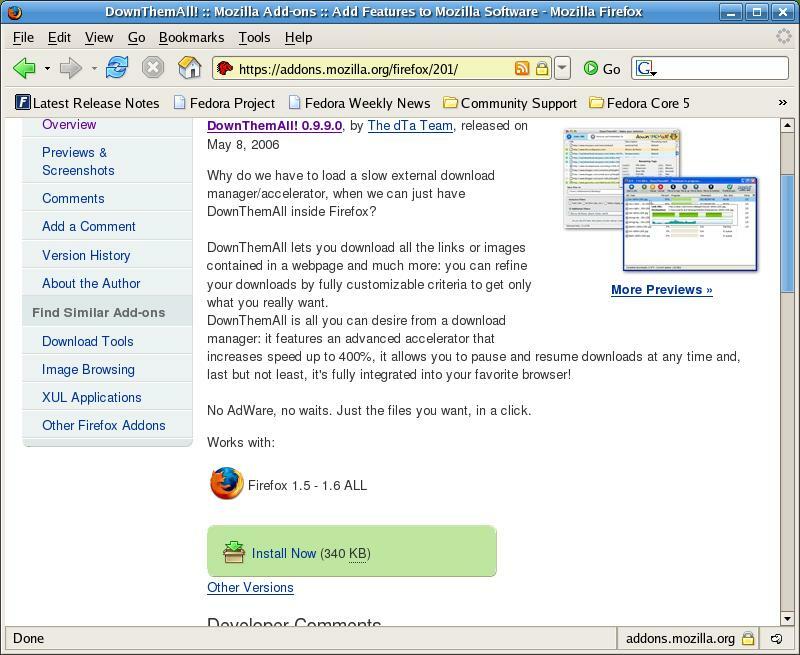 Here I demonstrate installing of popular extension (DownthemAll (https://addons.mozilla.org/firefox/201/))which is a kinda Download Manager. 2. There Click on the Install Button a Wizard appears follow the instruction and install it accordingly. Though standard firefox installation dosen't come with plugins installed but they can be installed quiet easily. Firefox is extremely small in size as compared to IE . It is just 4.9 MB as compared to IE 6 which is over 75 MB in size. Small size dosent mean it has any less feature than IE but it dosent come preinstalled with JVM , Shockwave,Flash etc plugins which have to be installed externally. 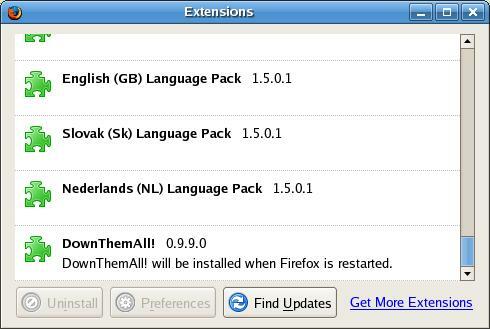 Further Firefox supports a large number of Spoken languages thus making it truly international and helping it to reach a large non-english speaking public . RSS feeds popularly used by News websites and Webblogs to provide summary of content of website with links ,it is also used by software like aggregator to allow users to track changes and updated news items . 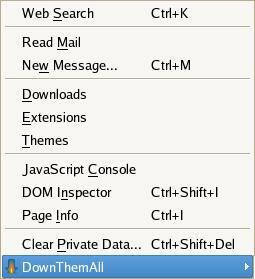 Firefox comes with built in support for RSS . All Websites that support RSS a Orange Icon is Show in the addressbar's right end clicking it one can add the RSS feed to bookmark. 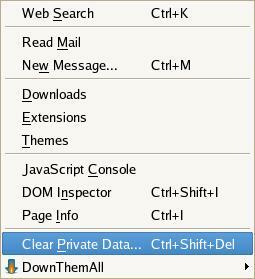 In short I would say Firefox is a perfect getaway for users of Internet Explorer who have been frustrated by bugs,viruses,adwares,popups and for those who just want to stand out of the crowd of IE using people. Nice blog... 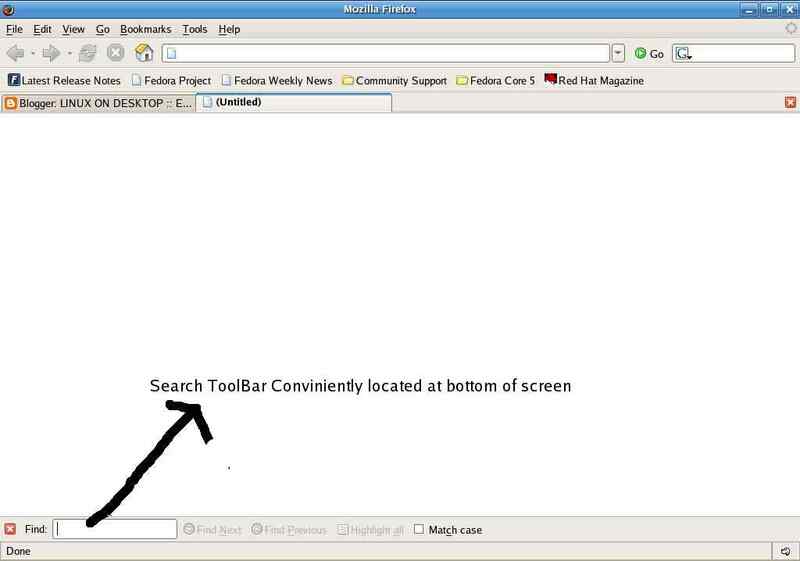 Important thing on firefox... can you figure out a way... where when i type my search in top right box... and hit enter will clear the box... as my search query will be automatically pasted on the web site i search? Its quite annoying to clear the search box again and again after each query.